Teat cover and ring to keep the teat clean. Made out of quality PP, BPA free plastic. 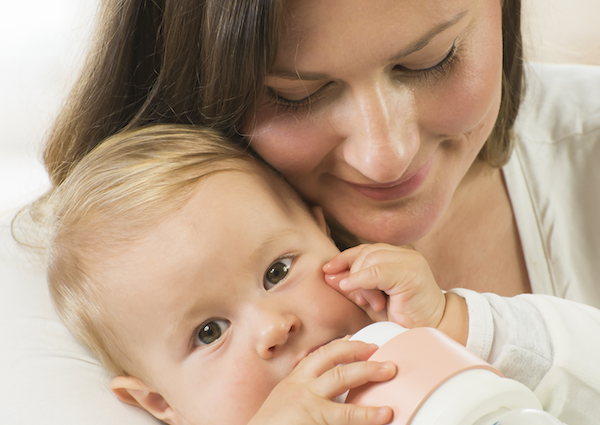 Baby formula cartridge which is placed on a bottle keeps the needed amount of baby formula dry and fresh until feeding time. Cartridge is made out of quality PP, BPA free plastic. It consists of two parts. Feeding bottle, 250 ml / 8.5 fl oz. Bottle is made out of quality PP, BPA free plastic. It fits with Sleepy Bottle heater. Dry BPA free polypropylene heater, fits with Sleepy Bottle baby bottle. 100% silicone, anti-colic, BPA free teats, fits with Sleepy Bottle baby bottle. Energy efficient, low voltage design warms water within 30 min - 40 min and maintains a perfect feeding temperature. Clever twist & shake design allows you to prepare baby formula in seconds. No more night trips to the kitchen. Sleepy Bottle keeps formula dry and warms water to a perfect 37°C while you sleep. When baby awakes, just twist and shake to mix the formula with the water - it’s ready in seconds! Great for daytime feeding too. Sleepy Bottle can also be plugged in to an USB port, power bank or 12V car charger for those of us who have to prepare formula on the go! Subscribe to newsletter and receive news, offers and discounts! ©2018 Sleepy Bottle. All rights reserved. FREE INTERNATIONAL DELIVERY for orders including single bottle pack Shop now!